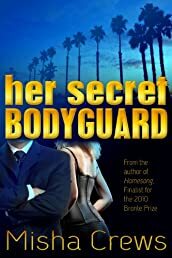 Her Secret Bodyguard | Your #1 Source for Kindle eBooks from the Amazon Kindle Store! In an exciting twist on her timeless tales of heart and home, author Misha Crews sets her latest story in Los Angeles, playground of former model Blake Sera. Although she's not yet thirty, jaded Blake is sure she's seen it all. Until she discovers that the man she's been living with is up to his neck in the murky underworld of crime. When Special Forces veteran Caleb McKenna is secretly hired to protect the glamour gal, he's sure that Blake is just another pretty face whose only interests are sunning, funning and shopping till she drops. But soon he realizes that there's more to her than big blue eyes and a killer smile. Can they survive their passion? Can they survive at all?